The first time I encountered the term I had no idea what it meant, but I had to find out. It sounded very exotic and hip. Steampunk is sub genre of fantasy, a sort of spin off of cyberpunk. 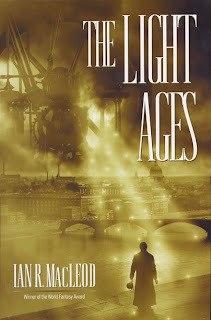 Read On... Fantasy Fiction: reading lists for every taste, defines steampunk as :"Set in the Victorian era in early industrial times, steampunk places magic alongside the dawn of technology. Anti-authority, anti-class-structure punk attitude is also on display." Not exactly what I had expected, but intriguing none the less. I've always been more familiar with Steampunk as an aesthetic movement than a literary one (I read BoingBoing a bit) -- this is a helpful little primer on where to go to read some of this material. Thanks!